The name Nokia and the phrase CDMA aren’t often found in the same sentence. The Nokia 2608, which the manufacturer says has a “high-gloss exterior, racy stripe down the middle and three colorful options,” is the first CDMA device to be announced in quite some time. Though the phone is somewhat average, it does have a flashlight (gasp!) and an FM transmitter. At this point, it is not going to hit the States, but for others, expect to see the device in the first quarter of 2009. 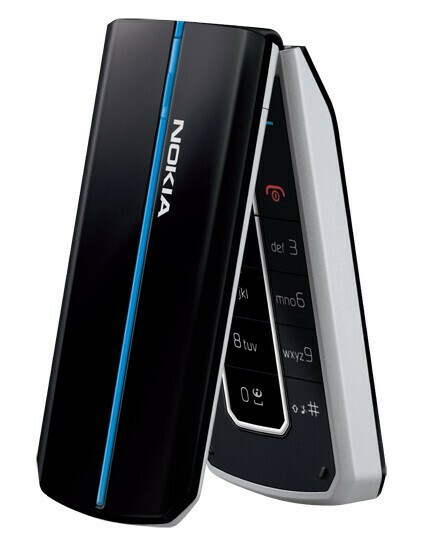 C'mon Nokia, if you're going to tempt the CDMA users with a device here and there, provide some high-end devices! I also work for VZW and disagree with retard in post #1. We don't get very many but the ones we do get are reliable. 6315i and 6205 are solid phones. I seel VZW service and I use the 6205 and it's been extremely reliable; great battery life/reception/sound quality. It's also quite stylish. I can't wait to see what Nokia sends VZW's way in the future. #1 you made yourself look like a jackass with your ridiculous comment check your facts next time you speak you tard! Nokia most probably will not make high end CDMA devices, probably cuz no US/Ca carrier will carry them. looks like a low end alcatel-sharper image to me. Copy? Hope not. Looks like itll have a mp3 player. possible mp4 player. like it, but no camera? come on nokia, make one with a camera. pick it up, vzw! Nokia and CDMA just doesn't go together. They need to stick with GSM. But if they do make CDMA models, the only carriers that should carry them in the USA is prepaid ones. Alright nokia, next step: release the n97 on vzw. Haha yeah right, but that would be awesome if they did. I'm a service tech for sprint, and though we have not carried Nokia in a long time, I have only seen one of their phones come back for repair, and the guy had ran it over. Right now I'm a crackberry addict, but before i got my BB, I had only nokia phones for two big reasons: You actually have to WORK to break them, and they are all around great phones. The phone above, yeah for people like us who check these websites regularly, we would probably not get that. But this is a perfect phone for elderly people who just want a basic, reliable phone. Its also good for younger kids as a starter phone. Its not flashy, but your phone is there for mommy and daddy to reach you. Perfect.